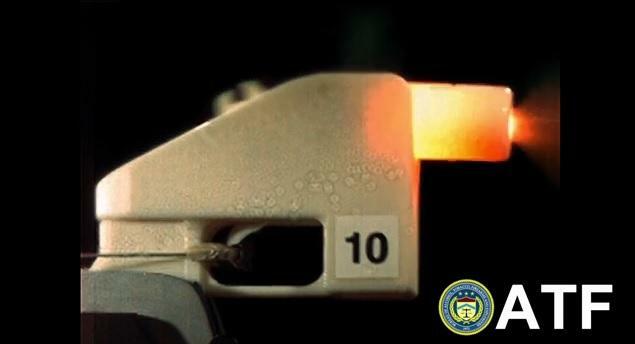 The Bureau of Alcohol, Tobacco, Firearms and Explosives (ATF) led a multi-agency working group testing the use of 3-D printing technology in the making of firearms. 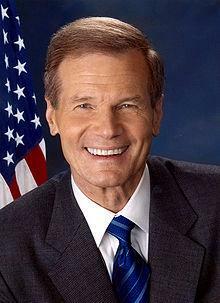 Florida Senator Bill Nelson is hoping to extend a federal ban on undetectable firearms that’s expected to expire in a few weeks. His aim is to help federal officials get tough on new type of gun they see as a growing problem in the U.S. The Undetectable Firearms Act was passed in the late 1980s. It makes it illegal to make, sell, or import any firearm that cannot be detected by a metal detector. The longtime ban is set to expire December 9th, and Senator Nelson says he wants not just to renew the ban, but to expand it to help law enforcement crack down on guns entirely made out of plastic using 3-D laser printers. “People are able to make a fully functioning firearm from their own home with the click of a mouse. And, because they’re made from plastic and they layer plastic upon plastic layer, they’re invisible to metal detectors and other screening devices that are in place at airports and government buildings and office buildings,” said Nelson, in a released video. The ban has the support of the Bureau of Alcohol, Tobacco, Firearms and Explosives, or ATF. The National Rifle Association did not return a call for comment. For more news updates, follow Sascha Cordner on twitter @SaschaCordner. Is There Another Reason The State Denied USF Request To Exhume Bodies At Dozier? The University of South Florida is awaiting a response from the state about whether the school’s researchers can dig up the human remains of boys believed to have died over a 60-year period at the infamous Dozier School for Boys in north Florida. State officials contend they don’t have the authority to grant such a request, but some wonder if that’s the real reason for the denial. Democratic Senator Bill Nelson isn’t happy about the Florida Legislature concluding its 2013 session without reaching a deal on expanding healthcare coverage under the Federal Affordable Healthcare Act. Nelson put his frustration in a letter to Florida Governor Rick Scott on Tuesday.